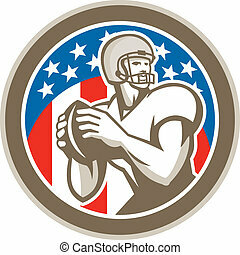 American football qbthrowing circle retro. 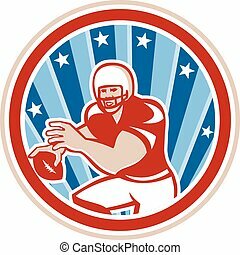 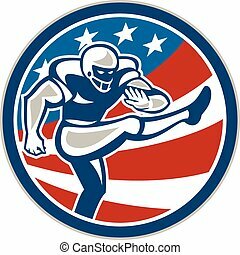 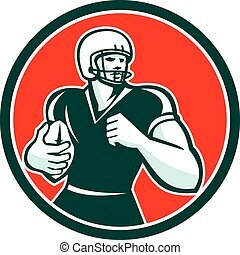 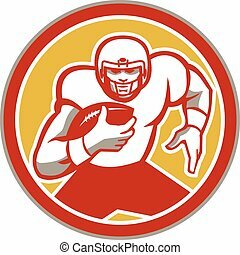 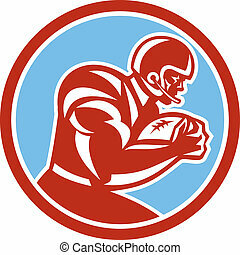 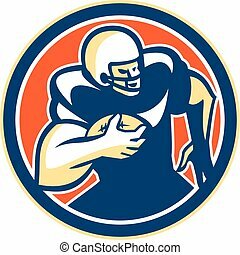 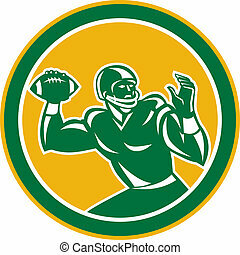 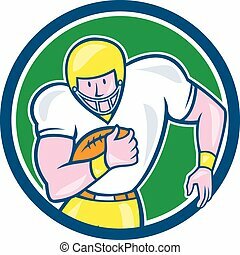 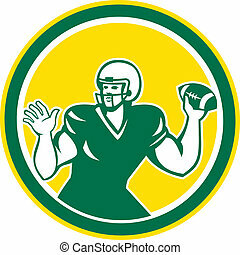 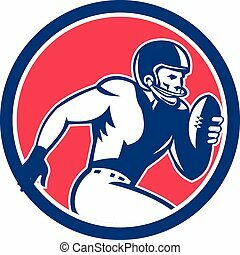 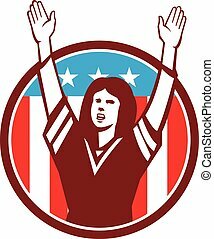 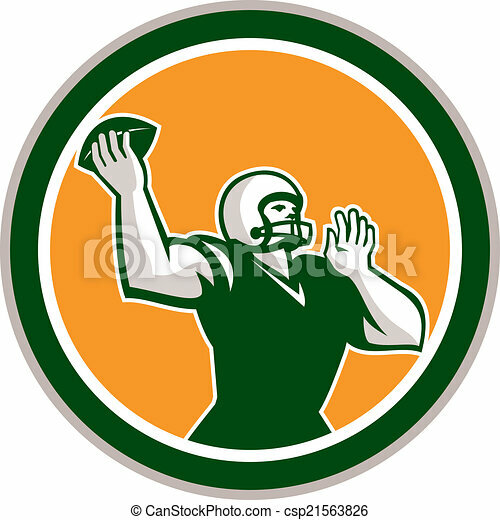 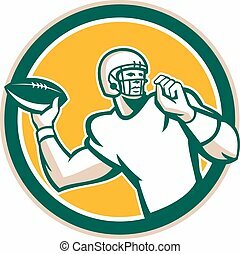 Illustration of an american football gridiron quarterback qb throwing ball facing side set inside circle on isolated background done in retro style. 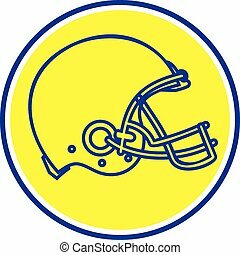 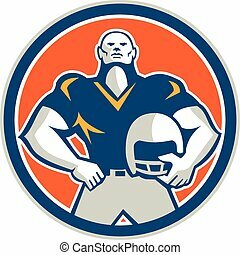 Line drawing illustration of an american football helmet viewed from the side set inside circle done in retro style.